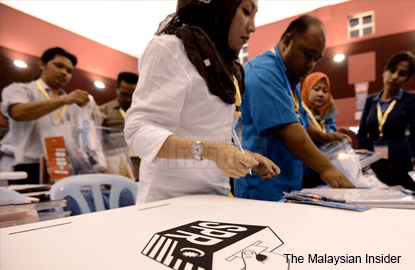 (Dec 1): While Putrajaya’s committee tasked with coming up with a framework on political donations said it needed two years, an academic, G25, and a group of non-governmental organisations have completed the task in two months. Universiti Malaya academic Terence Gomes said they started work on the guidelines on political funding in September and the proposals were ready two months later. “We don’t want to waste time. We don’t want to wait another two years to be done. The government’s committee said it needed two years. Minister at the Prime Minister’s Department Datuk Paul Low on Aug 15 said a committee comprising the Bar Council and Transparency International Malaysia would work in a one-year time frame on their recommendations so that legislation was ready for the 14th general election. Prime Minister Datuk Seri Najib Razak announced a day earlier that a national consultative committee on political funding. Its task, Najib said, would be to develop a plan to ensure transparency and governance over party funds. He said it was a necessary move to ensure healthy politics, adding that he had mooted proposals to regulate political funding since 2009 but did not receive any response. News of the panel came amid debate over political funding practices in Malaysia, which has no laws to regulate the amount of donations or disclosure of donors’ identities. Controversy arose after RM2.6 billion was deposited into Najib’s personal bank accounts and classified by the Malaysian Anti-Corruption Commission as political donation. Gomes said the group was proposing the Political Parties Act as one of the three major reforms forwarded to Najib on Nov 27. Two others were to empower Election Commission and to introduce direct public funding. “We are not saying that it’s perfect but we would like to sit down and discuss our proposal,” said Gomes.